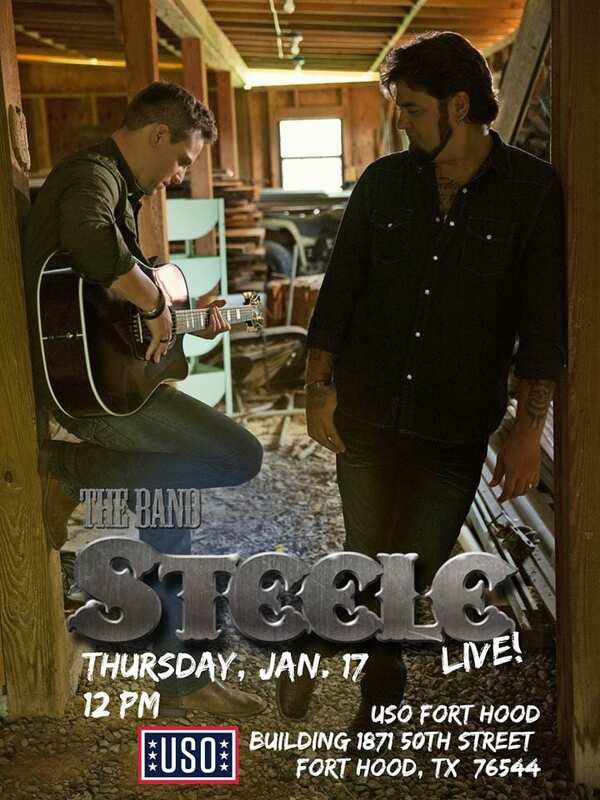 The Band Steele is made up of two Alabama boys (Bo Steele/Ben Rubino), who grew up “Swimmin’ In The Sipsey”. The duo’s career catapulted when Bo’s impromptu, a capella performance of “Victory In Jesus” was captured on film. The video went viral wowing fans by the millions and “The Band Steele” became an Internet phenom. 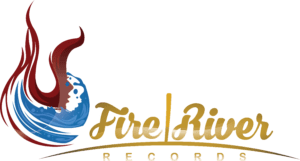 The pair’s list of career accomplishments has grown expeditiously since aligning with its label Fire River Records. 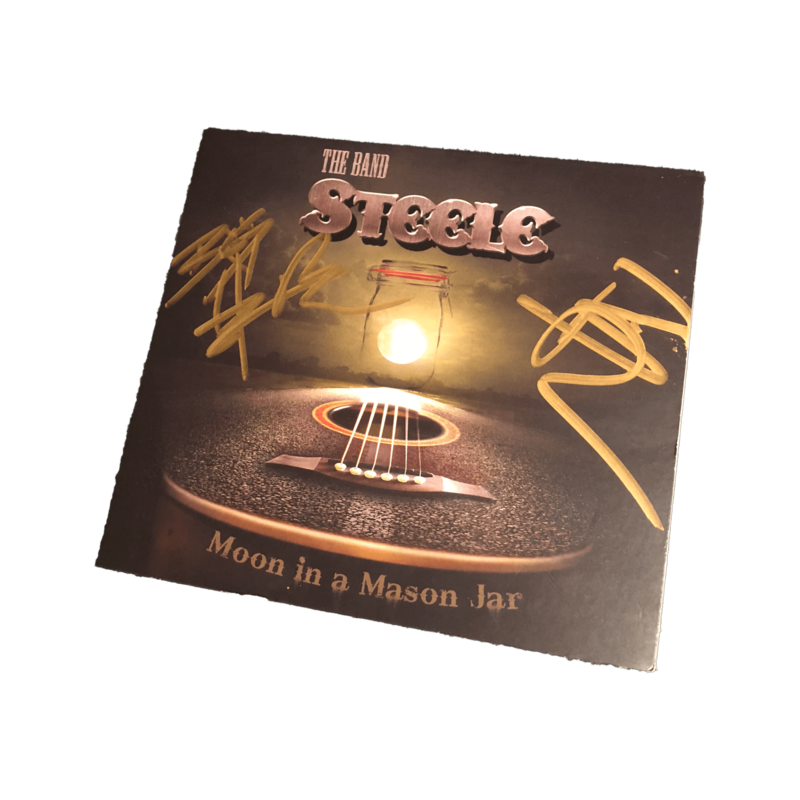 The Band Steele released its debut studio album, Moon In A Mason Jar (2017), three singles to country radio (“Tan Lines,” “195” and most recently, “Sit Awhile”), one single to Christian radio (“Victory In Jesus”), and filmed five music videos. The music video “195” premiered on “Country Fix” (Heartland TV/Aug. 2018) while Country Rebel has supported The Band Steele to feature multiple music video performances (“Victory In Jesus”/“The Lineman”/“God Bless The USA”) stacking combined views upward of 6 Million. The pair’s original tune “Good Times” is featured in the film "Life On The Line” (John Travolta/Sharon Stone) and Bo makes a cameo appearance performing the song in the movie. The newly released single, “Sit Awhile” (Aug. 2018) and corresponding music video have quickly enjoyed exponential engagement from millions across the globe from both country music enthusiasts and military supporters. With nearly 1 Million YouTube views alone, the “Sit Awhile” music video serves as a patriotic tribute to our men and women of military service and their families. Steel is one of the strongest metals in the world; it’s iron mined from the earth and fortified under heat. Alloy steel is created when other elements are intentionally added to modify the characteristics of steel. The same is true with the combination of Bo Steele and Ben Rubino, and the creation and characteristic of The Band Steele. A musical formation as spirit and nature intended, The Band Steele is defined by strong vocals and instinctive musicianship—a fiery combination forged by a genuine brotherhood and a loyal and trusted friendship that makes the pairing stronger and “better together”. Growing up in the country where hunting, fishing, partying in the woods and “Swimmin’ In The Sipsey” were the pastimes, it’s the southern culture and natural born “way of life” that unified the two high school friends from small town Alabama. Just a year ahead, Bo (who is a self-proclaimed “book worm”) captured the attention of his skateboarding counterpart (Ben) at a high school talent show. With a uniquely bold voice, often compared to award-winning performers Eddie Vedder, Scott Stapp (Creed) and Darius Rucker, Bo Steele is fueled by untamed emotion, energy and passion. Like so many others, Ben was floored by Steele’s pipes; he invited the powerhouse vocalist to join his band and the bond was formed. Bo brings a rock influence to The Band Steele’s otherwise country sound while Ben infuses an easy-does-it charmed balance to the live performances lending subtle harmonies and signature phrasing to the duo’s compositions and production. Early on, the two teenagers supported the undertaking with rather unconventional odd jobs. Bo held more than 10 different jobs—most he’d like to forget—including spraying insulation in chicken houses, working at a moving company and building sidewalls for a mobile home manufacturer where Ben joined him as a coworker at the latter two. Along the journey, “life happened” stalling their momentum and testing their drive for the dream. Bo became a young father, and Ben, redirecting his focus, formed Plan B and headed toward the Air Force recruiting offices. But, fate had other career plans for them both. Plans changed entirely when they got “the call.” Bo’s performance of “Victory In Jesus” was captured on film in an impromptu a cappella performance in a hospital waiting room; the performance went viral on YouTube (and nears three million views to date). Bo Steele quickly became an Internet phenom capturing new fans by the millions and the attention of the New York City-based Fire River Records. Following a jet-set trip from NYC to Alabama for a live performance preview, the label signed The Band Steele to a multi-album record deal nearly on the spot (September 2014). FAST FORWARD: In three short years since signing with the label, The Band Steele released its debut studio-recording, MOON IN A MASON JAR (2017), three singles to country radio (“Tan Lines,“ “195” and most recently, “Sit Awhile”), a single to Christian radio (“Victory In Jesus”) and filmed five music videos. 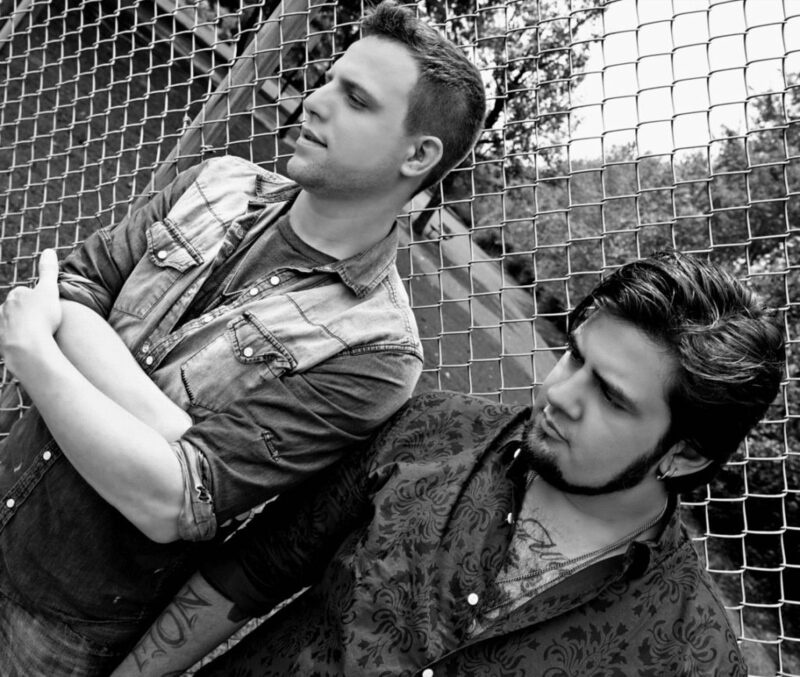 Their most recent music video, “195,” premiered on the “Country Fix” on Heartland-TV (August 2018) and digitally via Taste of Country (Sept. 2018) while the newly released single, “Sit Awhile” (August 2018) and corresponding music video have quickly enjoyed exponential engagement by millions across the globe from both country music enthusiasts and military supporters. With nearly 1 Million YouTube views alone, the “Sit Awhile” music video serves as a patriotic tribute to our men and women of military service and their families. Passionate to recognize those who serve and sacrifice to risk their lives to lend aid to others—our military service men and women, veterans, first responders, as well as our country's linemen—and inspired by the brave linemen and their families, the proficient song crafters co-wrote and released "The Lineman” as a dedication to a service nearly forgotten. The pair’s original track (“Good Times”) was featured in the John Travolta/Sharon Stone film "Life On The Line" (Lionsgate/2016). Bo also makes a cameo appearance performing the song in the movie. The what-you-see is what-you-get, no-nonsense country duo doesn't believe in music genre barriers and their music is 100% proof. They write about summer love, love loss, recognize fallen comrades, unsung heroes and share good-hearted spirit in rockin' and rowdy, good-timin' tunes that move the listeners to tears or raise a bottle of beer. From behind chicken wire or before a wide-open field of thousands. 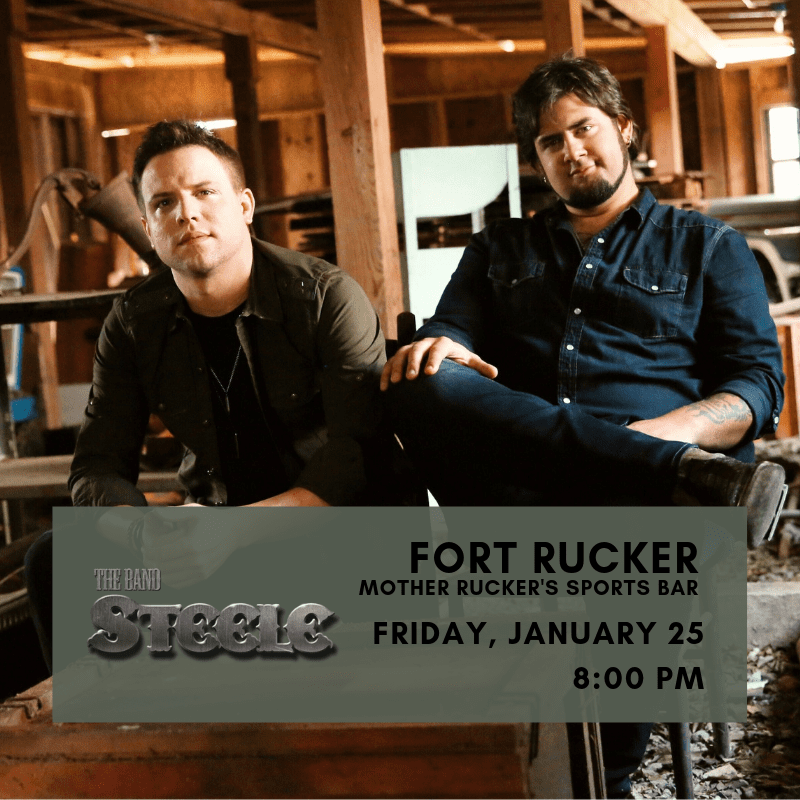 The Band Steele is a modern, ferocious force to be reckoned with… hopeful to etch its name as a long-time iconic symbol of the South. The Band Steele is made up of longtime friends, Bo Steele/Ben Rubino, who formed a rock band as teenagers in Alabama. The duo’s career catapulted when Bo’s impromptu, a capella performance of “Victory In Jesus” went viral and “The Band Steele” became an Internet phenom. The pair’s momentum has been explosive since aligning with its label (Fire River Records). 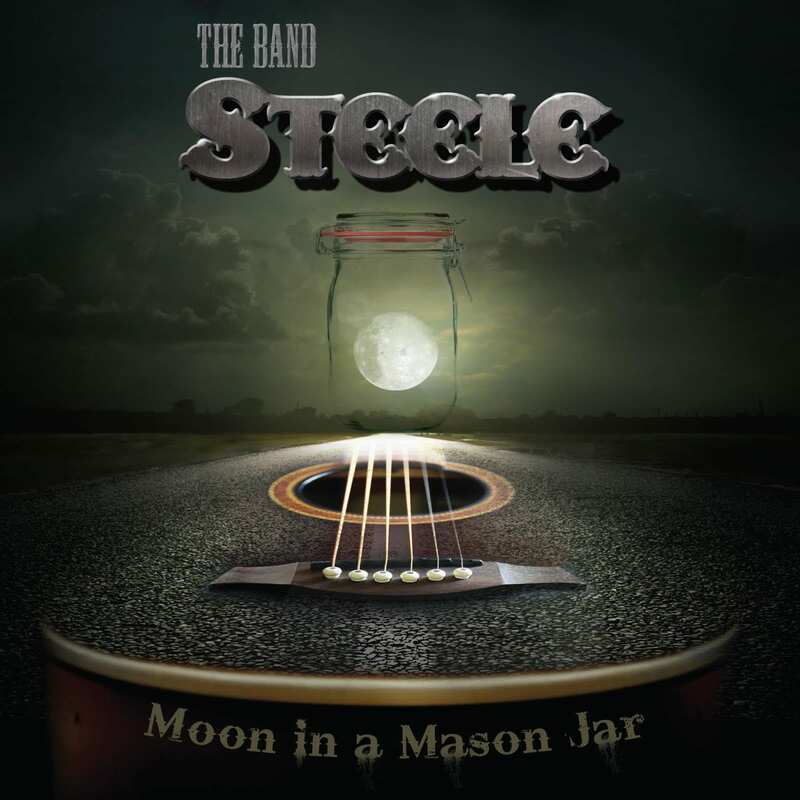 The Band Steele released its debut album, Moon In A Mason Jar (2017), three singles to country radio (“Tan Lines” • “195” • “Sit Awhile”), one single to Christian radio (“Victory In Jesus”) and filmed five music videos. The “195” music video premiered on “Country Fix” (Heartland TV/Aug. 2018), while “Taste Of Country” digitally debuted the video where it peaked as a “Top 3 Fan Favorite.” Country Rebel has showcased multiple performances with combined views upward of 7 Million. Their song “Good Times”, is featured in the Lionsgate film "Life On The Line” (John Travolta) and Bo makes a cameo appearance performing the song. The duo released its latest single, “Sit Awhile”, to country radio in Aug. 2018. The track, which has enjoyed exponential engagement from millions worldwide, peaked at #36 on the MusicRow Country Breakout Chart (March 2019). The corresponding music video, filmed as a patriotic tribute to our military, premiered on CMT.com and has enjoyed more than 1M YouTube views to date. In recognition of the overwhelming response from members of the military, Bo and Ben have performed nationally at military bases. Plans changed entirely when they got “the call”. Bo’s performance of “Victory In Jesus” was captured on film in an impromptu a cappella performance in a hospital waiting room; the performance went viral on YouTube (and nears three million views to date). Bo Steele quickly became an Internet phenom capturing new fans by the millions and the attention of the New York City-based Fire River Records. Following a jet-set trip from NYC to Alabama for a live performance preview, the label signed The Band Steele to a multi-album record deal nearly on the spot (Sept. 2014). 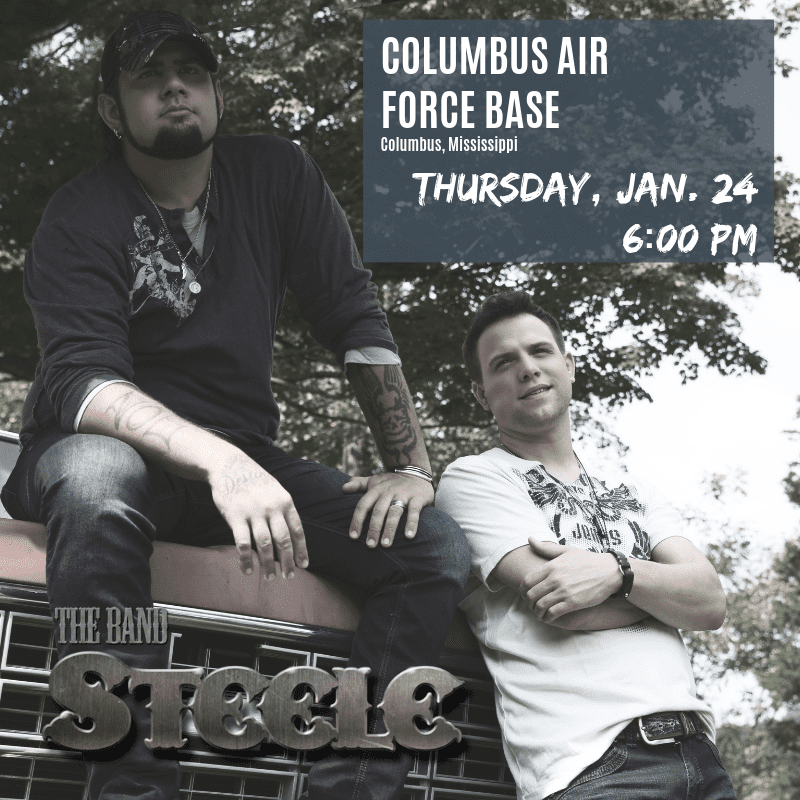 The Band Steele is made up of two good-hearted boys who grew up “Swimmin’ In The Sipsey” as a pastime in Winston County Alabama. The pair’s momentum has been explosive since aligning with its label (Fire River Records-NY/2014). 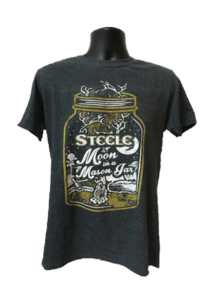 In a few short years, The Band Steele released its debut album, Moon In A Mason Jar (2017), three singles to country radio (“Tan Lines” • “195” • “Sit Awhile”), one single to Christian radio (“Victory In Jesus”) and filmed five music videos. The “195” music video premiered on “Country Fix” (Heartland TV/Aug. 2018), while “Taste Of Country” digitally debuted the video where it peaked as a “Top 3 Fan Favorite”. Country Rebel has supported The Band Steele to showcase multiple music video performances (including “Victory In Jesus,” “The Lineman”, “God Bless The USA” and their rendition of “Strawberry Wine”) stacking combined views upward of 7 Million. A Band Steele original tune, “Good Times”, is featured in the Lionsgate film "Life On The Line” (John Travolta/Sharon Stone) and Bo makes a cameo appearance performing the song. The duo was recognized as "Favorite New Group or Duo" by South Florida Country Music (2019). The “must-see” arena act released its latest single, “Sit Awhile”, to country radio in August 2018. Recorded as a dedication to our military, the tune has enjoyed exponential engagement from millions worldwide by both country music enthusiasts and military supporters. The track peaked at #36 on the MusicRow Country Breakout Chart (March 2019). The corresponding “Sit Awhile” music video, filmed as a patriotic tribute to our men and women of military service and their families, premiered on CMT.com and has enjoyed more than 1,000,000 YouTube views to date. In recognition of the overwhelming response from members of the military, Bo and Ben have performed nationally at hospitals, veteran’s homes and military bases including Marine Corps Base Quantico, Fort Bragg, Fort Campbell, Fort Hood, Fort Rucker, and USO Georgia among others. The what-you-see is what-you-get, no-nonsense country duo doesn't believe in music genre barriers and their music is 100% proof. They write about summer love, love loss, recognize fallen comrades, unsung heroes and share good-hearted spirit in rockin' and rowdy, good-timin' tunes that move the listeners to tears or raise a bottle of beer. From behind chicken wire or before a wide-open field of thousands. 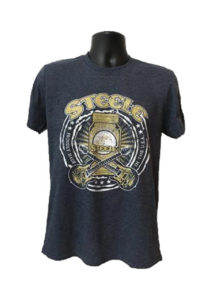 The Band Steele is a modern, ferocious force to be reckoned with... hopeful to etch its name as a long-time iconic symbol of the South.